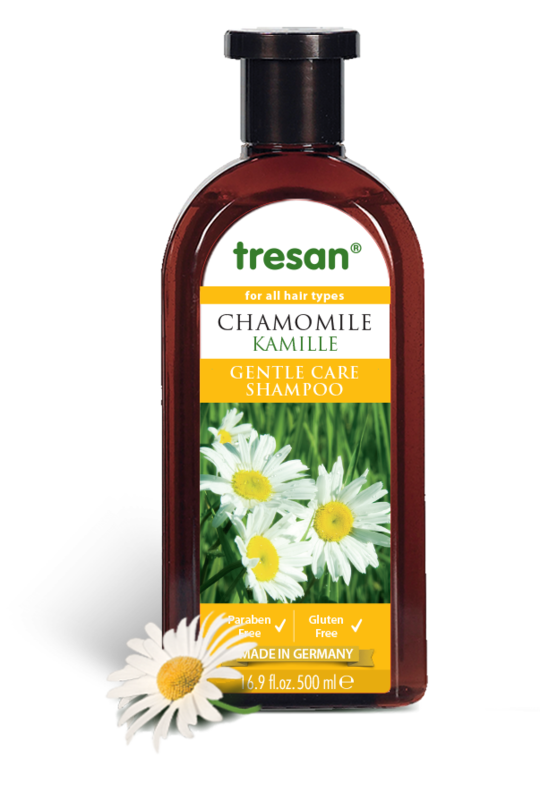 Tresan Chamomile Gentle Care Shampoo is a gentle conditioning shampoo for all hair types. It’s uniquely formulated with chamomile extract and bisabolol to provide a gentle care and moisture to your hair. It’s an ideal shampoo especially for light colored or ne hair types as well dyed hair. It can be used on chemically treated hair that requires sensitive care. Can be used daily. pH skin-friendly.